Documentation and SupportReleases Quince Release Notes 2016-08-09Mashup Value Wizard interface improvements. 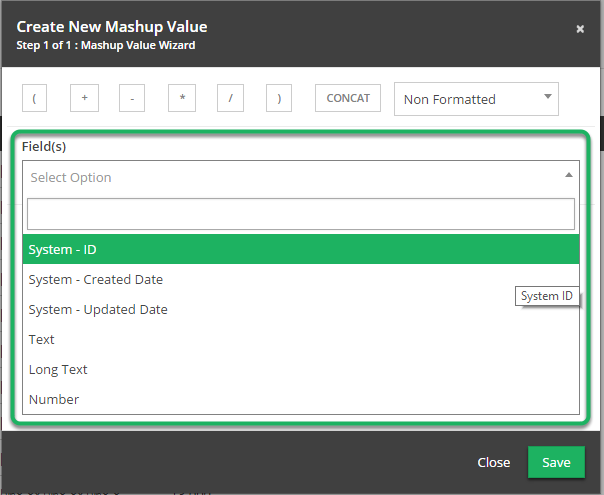 When creating or editing a mashup value in the "Field Configuration" section of the Table Configuration Tool, fields can be selected from a new drop down menu and inserted into the SQL statement. 1. 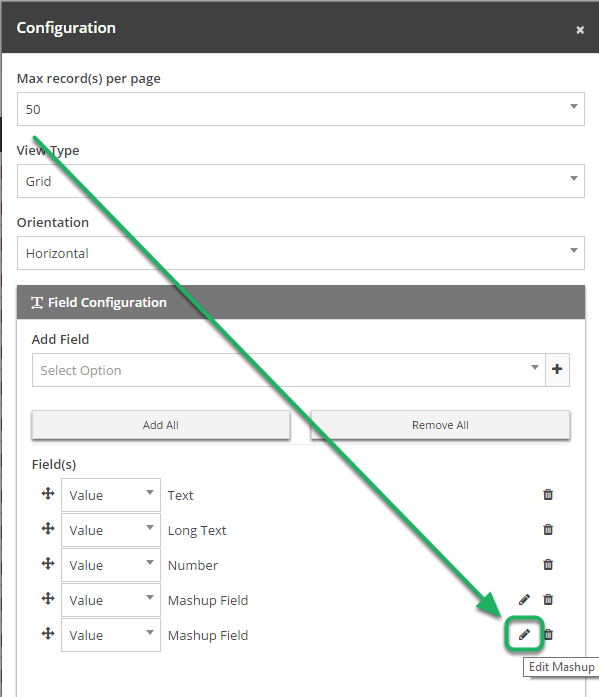 Open a Table into Grid View and select the Configuration Tool. Click on the "Configuration" icon. 2. 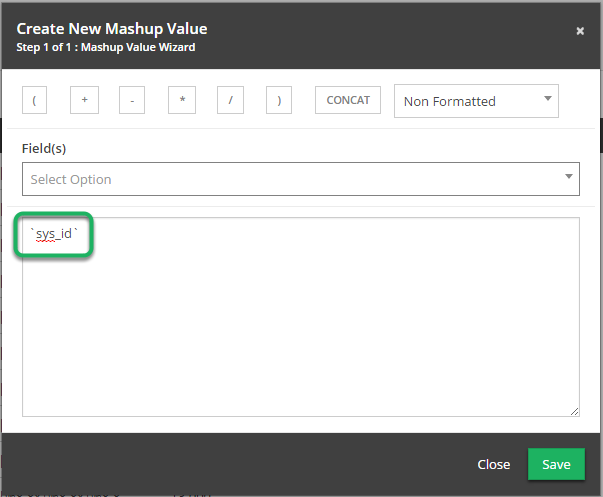 Open the Mashup Value Wizard by clicking the Edit button for a Mashup Field. 3. You may now select any Field in the Table from the "Field" drop down. 4. The field name is added to the SQL statement. Prev: Custom delivery options available for system messages. 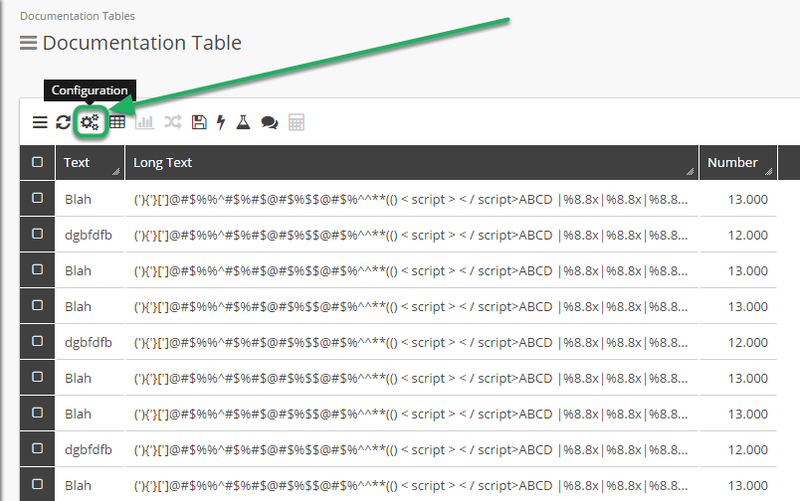 Next: When creating a Table from within a Wizard, the connection information is automatically filled in.